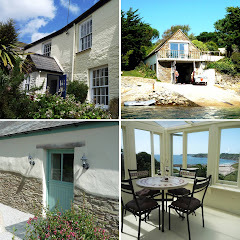 Holiday Cottages in Cornwall: September is a great time to visit Cornwall! As well as enjoying late summer sun, the county starts to wind down from the busy peak season and becomes quieter and more peaceful in September. That is not to say there is nothing happening! On the contrary, there is still plenty to see and do off and on the water. Festivals are still in full flow including the Newquay Fish Festival (from 9th-11th September) and St Mawes Fish Festival and Harbour Race (10th September). 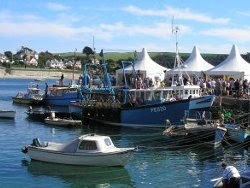 The Cornwall Food and Drink Festival (23rd – 25th September) will inspire those with foodie fantasies; the St Ives September Festival (10th-24th September) is a cultural affair for all the family and the South East Cornwall Walking Festival (17th – 25th September) offers a chance to explore the stunning countryside with knowledgeable guides. If plays, operas and musicals appeal, a trip to Cornwall’s world famous open-air Minack Theatre is not to be missed. With a wide variety of performances throughout September, the season finishes with “Proms at the Minack” – hooters and flags optional! With the promise of speed, excitement and some of the country’s top professional polo players, the award-winning Veuve Clicquot Polo on the Beach returns to Watergate Bay on 6th September. If you have never watched polo before, this event makes a spectacular sight as horses thunder across the beach with the bay as a background. Bay Retreat Villas, located on the Atlantic Coast near Padstow and Newquay, are a collection of stylish and contemporary holiday villas. Cornwall’s Cottages are pleased to offer two properties, one that allows dogs and one that doesn’t, each sleeping 5 people for a week from Friday 9th September. Both have two bedrooms, a kitchen, a lounge/diner and a small lawned garden with a private timber decked terrace. Each property costs £675 and short breaks are available. Occupying the first floor of a magnificent house with extensive grounds, Upper Botreaux in St Mawes is a beautifully furnished apartment and has fabulous views across the bay towards the Lizard Peninsula. Sleeping 6 people, there are 3 bedrooms, a modern kitchen with a breakfast bar and a living area with flat screen digital TV. There is WiFi throughout the property and a private summerhouse with BBQ facilities and outdoor furniture. A week’s stay costs £679.20 from Thursday 8th September. The Linhay is a recently converted stone farm building and is situated in a secluded and peaceful position just north of Truro. It boasts many original features such as exposed beams and also uses cutting edge energy saving technology to minimise its environmental impact. Sleeping 4, there are two large en-suite bedrooms, an open plan kitchen/living space and French windows leading onto a secluded patio area. The Linhay is dog friendly and from Sunday 25th September costs £419. Welcoming both dogs and horses, The Lodge near Fowey is a perfect retreat for those wishing to explore southeast Cornwall by foot, bike or hoof. Nestled in a beautiful woodland and surrounded by stunning countryside, The Lodge is newly converted and is well equipped to accommodate up to four guests and allows up to 2 well-behave dogs. There is 4.6 acres of garden including paddocks for horses. A week at The Lodge costs £389 from Friday 16th September.